The Tourism Authority of Thailand (TAT) is counting down to 2018 with spectacular Amazing Thailand Countdown celebrations in five regions across the Kingdom, with Lampang, Sakon Nakhon, Rayong, Phuket and Kanchanaburi ringing in the New Year. Here’s the Spot TVC for the event, in Thai with English subtitles. Bangkok, 29 December, 2017 – Thailand is proud to announce the arrival of the 35 millionth visitor during 2017 on Qatar Airways QR 836 from Doha that touched down at Bangkok’s Suvarnabhumi Airport this afternoon. Ms. Stephanie Haring from Munich, Germany, was named ‘Thailand’s Luckiest Visitor’, a campaign launched since June 2015 to recognise and reward record-breaking visitors on arrival to the country. She was pleasantly surprised and warmly welcomed by private sector tourism industry representatives and senior executives of the Tourism Authority of Thailand (TAT). Ms. Haring was rewarded with two economy-class return tickets from her original destination to Thailand, a voucher for five nights’ accommodation in Thailand as well as the ‘Thailand’s Luckiest Visitor’ accolades that included a signed certificate from TAT. H.E. Mr. Weerasak Kowsurat, Thailand’s Minister of Tourism and Sports, said the arrival of the 35 millionth visitor is an important milestone for 2017 and means that tourism arrivals exceeded the goal for the year. He added that prior to this, some 34 million tourists had already spent 1.81 trillion Baht (US$50 billion) in the country this year. “This continued success paves the way for expanding community-based tourism under TAT’s latest communication concept of ‘Open to the New Shades’ that focuses on Thai local experiences,” the Minister said. TAT’s ‘Open to the New Shades’ communication concept continues to highlight how visitors can discover new Thai local experiences at existing attractions or in emerging tourist destinations covering five unique categories. These include Thai Gastronomy, Arts and Crafts, Nature and Beaches, Culture, and Way of Life. Mr. Yuthasak Supasorn, TAT Governor, said the ‘Open to the New Shades’ concept reflects TAT’s marketing plan 2018, which has been designed to serve the purpose of generating revenue and increasing visitor arrivals, promoting new ideas and following the development agenda of Thailand 4.0 using the ‘Sufficiency Economy Philosophy’, as well as ‘Inclusive Tourism’ that maintains a balance between the economy, society and the environment. All the strategies are in line with the 12th National Economic and Social Development Plan and 2nd National Tourism Development Plan. NAMA Facility gave support fund to Thailand through EGAT to promote the development of high-efficiency and eco-friendly air conditioning and refrigeration technologies in order to help achieve the targets for energy consumption reduction and greenhouse gas reduction, which was committed at the Conference of the Parties to the UN Convention on Climate Change. 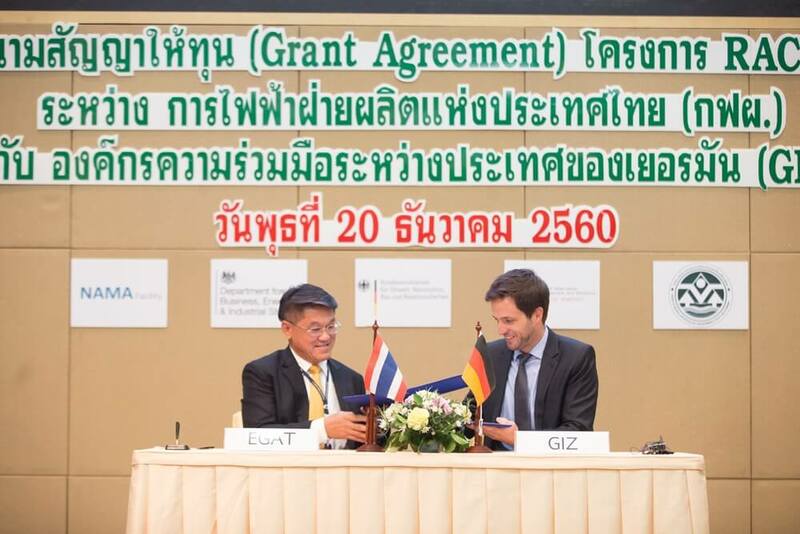 On December 20, 2017, Mr. Kodshayut Boriboonchatuporn, EGAT’s Deputy Governor – Power Plant Development, and Mr. Tim Mahler, Project Director of RAC NAMA of Deutsche Gesellschaft fuer Internationale Zusammenarbeit (GIZ) Thailand, attended the signing ceremony of the grant agreement of the RAC NAMA project, along with Mr. Pattarakit Techasikarn, EGAT’s Assistant Governor – Finance, who reported the background and purpose of the project. Representatives from different sectors joined in the ceremony, such as Mr. Colin Sike of the Embassy of the United Kingdom in Thailand, Mr. Phirun Saiyasitpanich, Ph.D., Director of Climate Change Management and Coordination Division, Office of Natural Resources and Environmental Policy and Planning (ONEP), and representatives of the Bureau of Energy Efficiency Promotion as well as related EGAT officers at Kasem Chatikavanij Convention Hall, T.040 Building, EGAT Headquarters. 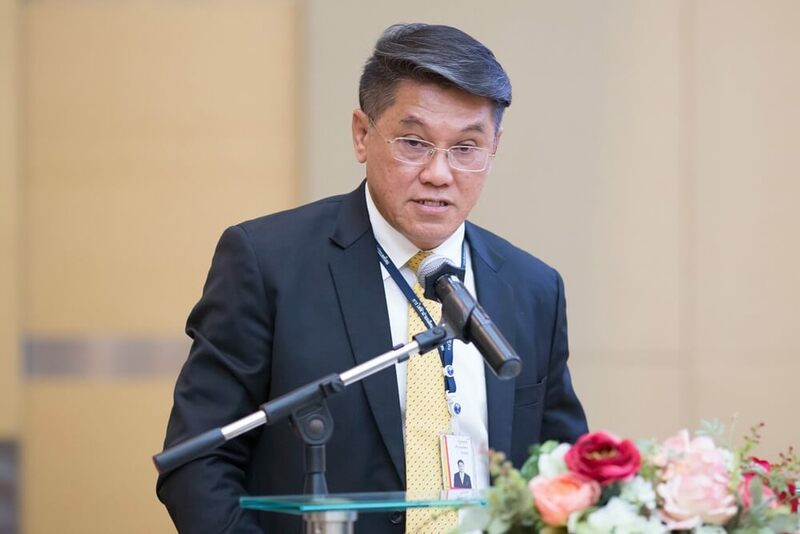 Mr. Kodshayut Boriboonchatuporn, EGAT’s Deputy Governor – Power Plant Development said EGAT was honored to receive and manage the RAC NAMA Fund. In the past, EGAT has operated with an awareness to environmental care and social responsibility. The RAC NAMA project shows EGAT’s determination to participate with all sectors in order to care for and preserve our planet. 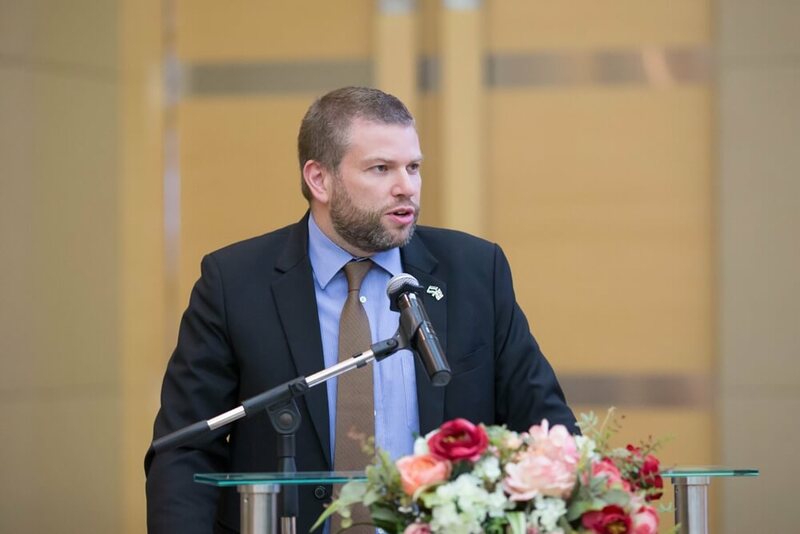 The project will help Thailand achieve the target to reduce the country’s greenhouse gases 7 – 20 percent by 2020, and 20 – 25 percent by 2030. The use of new technologies in the air conditioning and refrigeration industry, and the promotion of high-efficiency and eco-friendly refrigerant are consistent with EGAT’s vision “Innovate Power Solutions for a Better Life.” It is thanks to ONEP, GIZ and EGAT officers who have continued to support and participate in the project. Mr. Tim Mahler, Project Director of GIZ Thailand said the support fund from the RAC NAMA Fund will be used to implement financial incentive measures in both sub-grants and revolving schemes to support the production and use of high-efficiency and eco-friendly air conditioners and refrigerators for producers, consumers at the household level, and small and medium-sized businesses, including the service sector such as training and testing equipment. 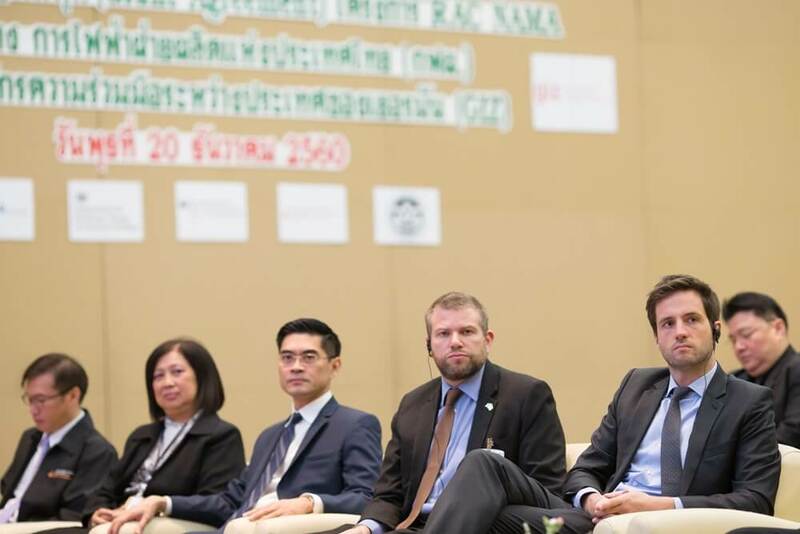 Therefore, the RAC NAMA Fund is an opportunity to develop green technology along with developing the competitiveness of Thailand’s air conditioning and refrigeration industry. 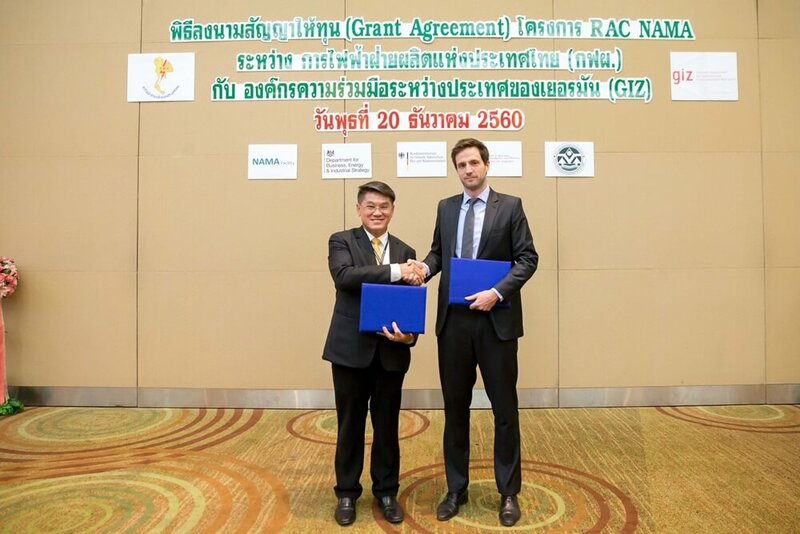 RAC NAMA is one of the first projects in Thailand and Southeast Asia to receive support fund from the NAMA Facility by the German and British governments. 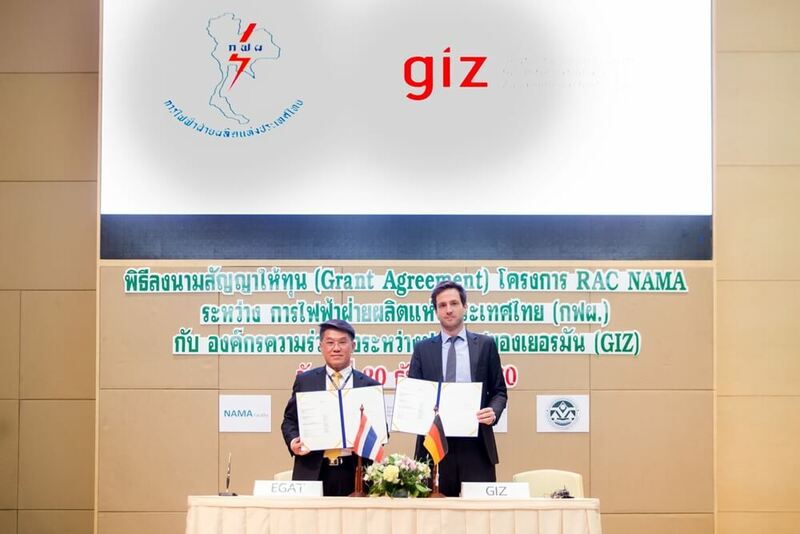 GIZ was commissioned to work in partnership with the Thai government, which includes Office of Natural Resources and Environmental Policy and Planning (ONEP) and Department of Alternative Energy Development and Efficiency (DEDE). The project’s implementation period is five years. 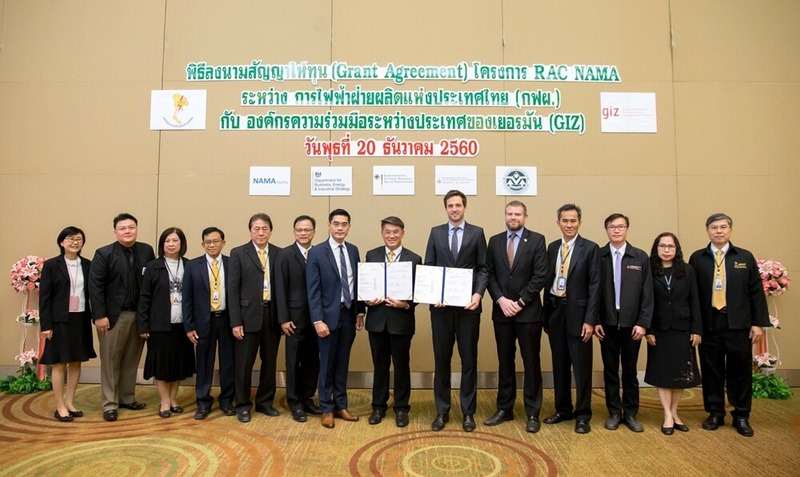 Furthermore, the “RAC NAMA Fund” was established with the amount of 8.3 million euros (around 320 million baht) with EGAT as recipient on behalf of Thailand. The objective is to help Thailand achieve the target for energy consumption reduction according to the country’s Energy Efficiency Plan, and to achieve the target for greenhouse gas reduction, which was committied at the Conference of the Parties to the UN Convention on Climate Change, by reducing the country’s greenhouse gases appropriately through the air conditioning and refrigeration industry.